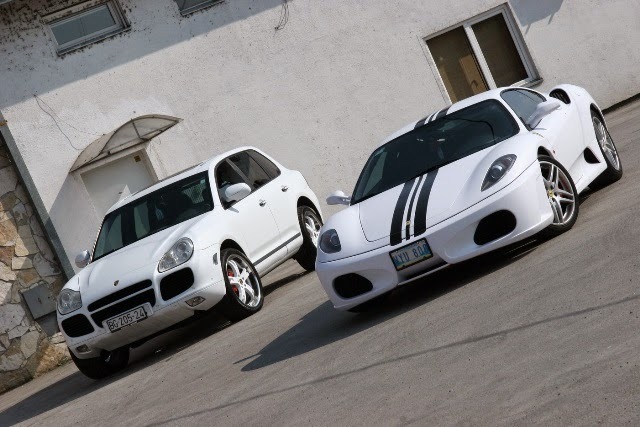 Men's Corner: Matte paint or matte foil? 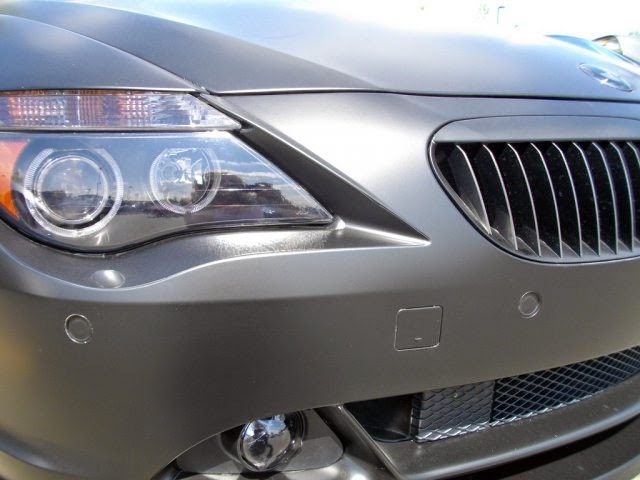 If you have recently seen on the streets BMW 7 Series in matte shades and turned to him, and then desire that your car looks like that, I guess you have to wonder what is the better option: matte paint or matte foil? Why are matte colors so popular? "Because they are unique, unusual, these cars are not as common on the streets, looking dangerous in the dark, give a luxurious touch to the car because it is known that the factory matte paint is extremely expensive". This trend has experienced a real boom 5 years ago, it was enough that only one "matte" car cruise through the streets and others like it - boom! Today matte cars are not such a rarity. 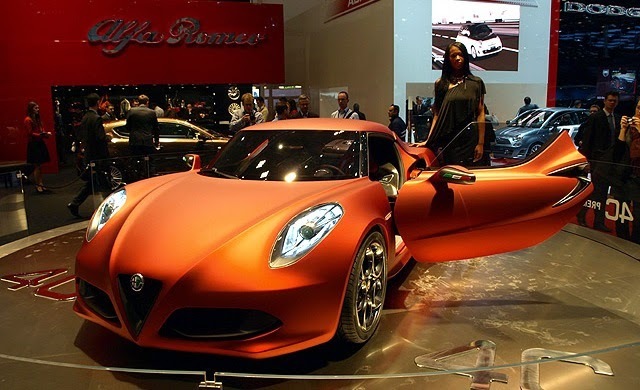 Some big auto companies have not been immune to this trend, Alfa Romeo at the Geneva Motor Show, presented 4C concept in matt orange, Rolls Royce unveiled the first matte white Phantom, Mercedes has a matte white E63 AMG and BMW offers a "frozen gray" M5. As it is known that the factory matte paint is extremely expensive, people are increasingly seeking to somehow reach that luxury. Some elected detour - with less money, and with the same effect. Between these two techniques for achieving a matte effect, there is a big difference in quality and price. One thing is the same: cars have a completely new dimension, look like it was made ​​drastic changes, and the drivers are happy because they are trendy and (almost) an unusual occurrence in the streets. We will respond to the question of how and how much, but only you know what you'll finally choose - matte foil or matte paint. 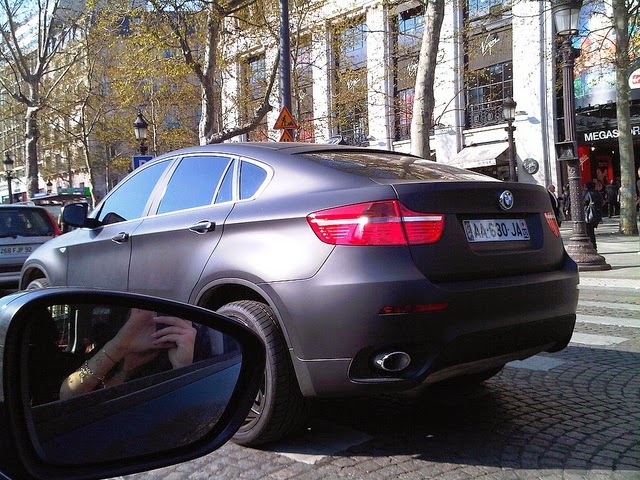 Many artists are of the opinion that some cars are just not for matte shades. "However, the matte colors for sports cars, with a more aggressive stance, and not for Opel Kadett". 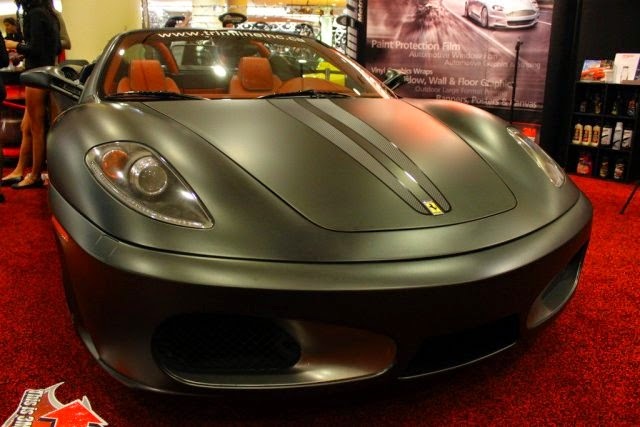 On automotive forums often talks about how the black matte foil over warms in the sun. On the other hand, the experts claims that it itself is black warms more. 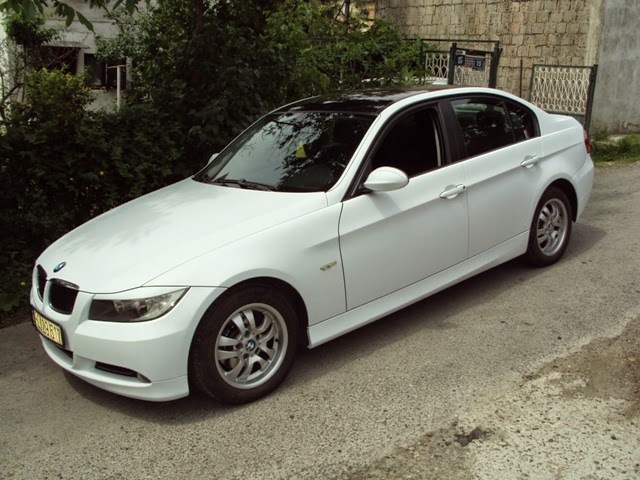 "If we compare polished car and the one with the wrap, it is our opinion that the second remains cooler in the sun. It's different when the sun warms directly sheet, and different when a heated plastic. Plastic is cooling faster and heat harder than metal ". What are the advantages of matte foil? "People are generally of aesthetic reasons, choose to paste matte foil. First of all, a very good and unusual look. They achieved the effect that for not much money almost completely change their car. However, few of them think about the foil actually protects the car. With matte foil or any other foil "car protects from bumps, stones, because there is a layer of plastic over metal, which depreciated stones". However, the fact is that the film is not eternal, and its life span depends, naturally, on the quality. Cheaper ones last 6 months to a year and then have to be removed. They cost around 200 euros for the whole car. "It often happens that a man wants to sell nearly ruined the car, and paste on the cheap foil. It looks good few months." For cars that are painted several times should not be sticking foil, because when after some time off, and removed the paint with it. It rarely occurs in factory painted car. Prices are formed depending on the size and type of car foil. For Audi A6, Audi A4 and Mercedes C-class hood in matte foil is 50 euros, the roof is 50 euros, 20 euros one wing. 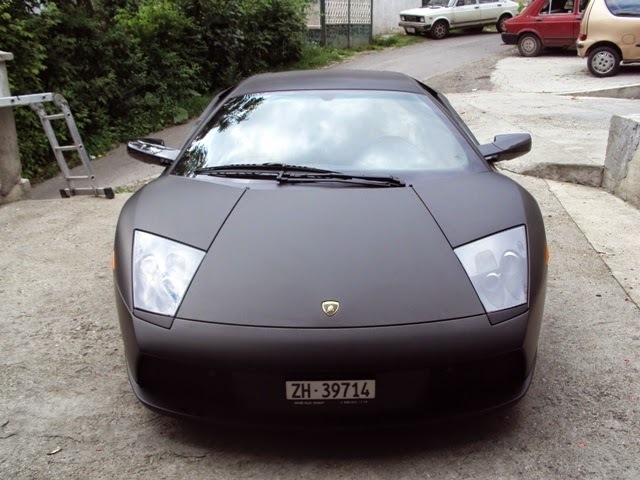 That the whole car of similar size "wrapped" in a matte foil costs 350 euros. This work on jeeps is expensive - up to 550 euros. Hummer for the price of 600 euros. For example, Fiat Punto or Golf 4 can be done for 300 euros. 1) The car must be a maximum of clean and degreased. To workshop needs to come from the car wash.
2) When you arrive at the workshop, is treated with chemicals, mostly alcohol 96 per cent. This process takes three hours. 3) Harvest is a pattern, because the foil is applied from the parts..
4) Partial are handsome piece by piece. Gluing takes about six hours. 5) Hair dryers are baked edges of foil to prevent them to peel. With drivers are currently the most popular matte black and matte white. Matt white is generally problematic because after a few months they change one shade, so if it comes to replacing a damaged part of the foil, there is an obvious difference. Also, matte white cars need to be washed every day. Painting the mat color is a delicate procedure that can be accomplished in several ways: painting acrylic-mat color that has a 10 to 40 percent brightness; adding matte additives in conventional acrylic paint where it achieves a kind of semi-matt; paint the base color and matte painting which achieves the best matte effect. No master would not recommend that you paint your car a classic acrylic or metallic, and then to subsequently go with matte finish, because there is inconsistency. As for the price, there is a color that is made as metallic; includes base and easy with a matte effect. You can choose an absolute mat or the 10 to 20 percent brightness. All this depends on the manufacturer. It is widely recognized that for such a venture need to find a reliable and good artist. Ask your friends or one of the motoring forum search for recommendations. Each master first wants to see work that he needs to do. The principle they calculate and charge for the parts which for example Fiat Stilo has about 14. Work for one part is 50 to 70 euros, which means he will need for the entire car to charge from 700 to 1,000. 2) Buy acrylic paint with a matte effect. 3) The car is being prepared for paint, cleaned up, sanded and degreased. 5) It takes time to dry so it is recommended that the painting is done indoors. Compared to the mat foil, matte paint lasts longer and gives the best effect of luxury. 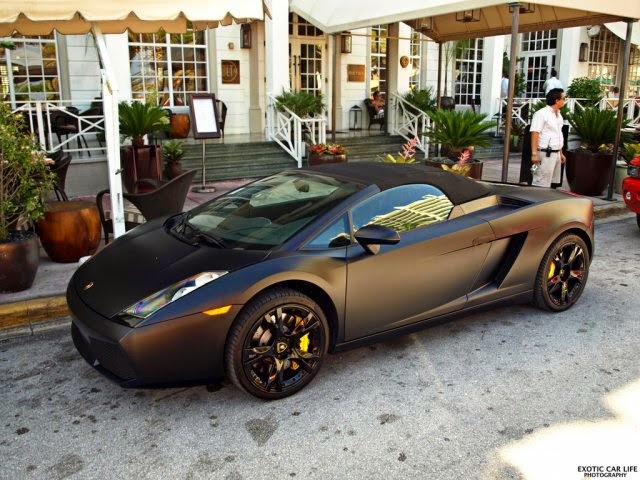 However, the only factory matte paint will guarantee a long life in the full sense. In subsequent painting in the registry, it depends on the master, and then on the way and how you maintain your vehicle. Those painted mat held only means that are specially made ​​for them. Can not even think about polishing. True, if you get bored with matte foil, just take it off, and in matte paint thing is complicated. Motorists often talk about the fact that Matt cars harder to sell, because it is known to have painted, and lose on price.